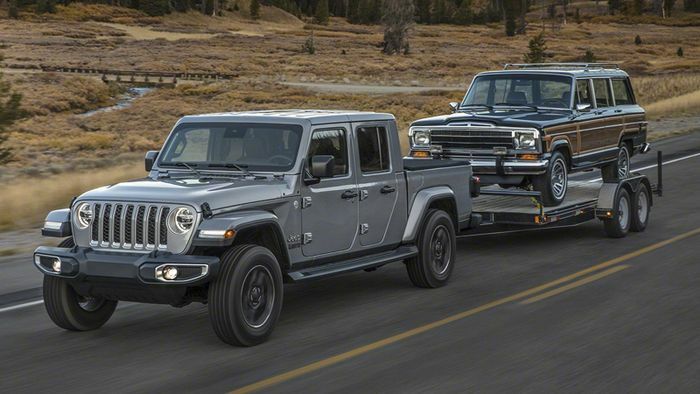 Jeep has revealed the production-spec Gladiator pickup a small matter of 14 years after it was first shown as a concept. The mid-size rival to the likes of the Chevrolet Colorado, Honda Ridgeline and Toyota Tacoma originally emerged in 2004, but it never got made. Until now. 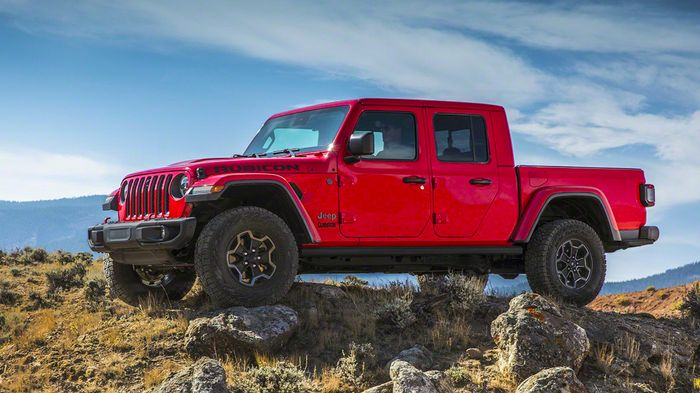 It’s based on the Wrangler JL, but with an extra 787mm (31 inches) of length beyond that of a Wrangler Unlimited and 493mm (19.4 inches) slotted into the wheelbase. To handle the extra size and weight it comes with larger axles, bigger brakes and 33-inch tyres. The five-feet-long reinforced load bed that enthusiasts have been calling out for for decades can take 725kg of whatever the hell you want. It has an optional covered power socket and plenty of tie-down hooks and eyelets. Under the bed is a full-size spare wheel well that can take up to a 35-inch tyre. Out back the Gladiator can tow a healthy 3470kg. 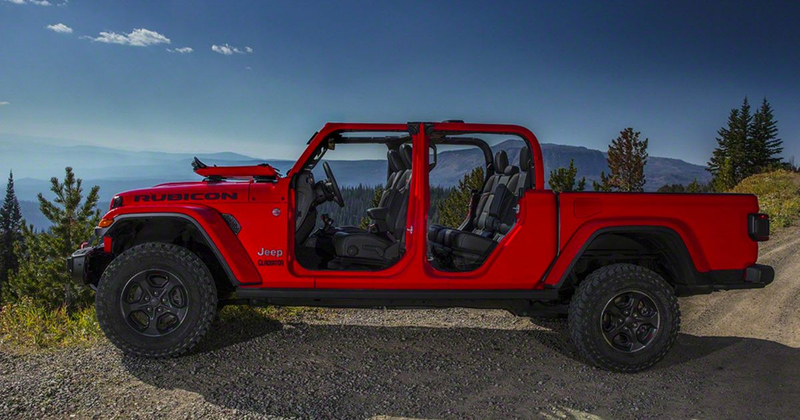 Most of its parts are shared with the Wrangler, and that includes both a fold-down windscreen and removable roof panels. 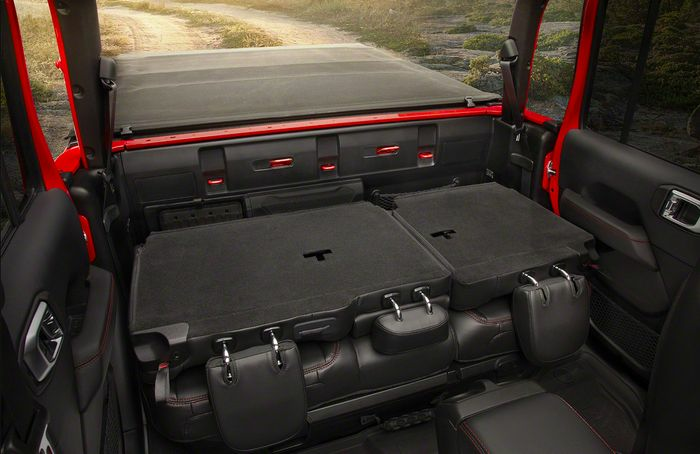 According to Jalopnik that makes the Gladiator the first pickup to go on sale in the US with a removable roof since the 1991 Dodge Dakota Sport, although you can choose not to spec it – or the folding screen. In fact, there are dozens of combinations of door, roof and screen options to choose from. Its wading depth is 762mm, 162mm more than the latest Range Rover Evoque. That said, the suspension is tuned to better absorb road vibrations and deliver actual handling than Wranglers past, so it’ll be interesting to see how the Gladiator stacks up against its theoretically more refined competition. Up front you get a choice of a 3.6-litre Pentastar V6 with stop-start and either an eight-speed automatic or a six-speed manual. The alternate option is a 3.0-litre V6 EcoDiesel and the eight-speed auto only. Apple CarPlay and Android Auto compatibility is a neat touch on a rufty-tufty off-roader like this, as are five USB ports and a forward-facing off-road camera that can show you what you couldn’t hope to see from the driver’s seat. 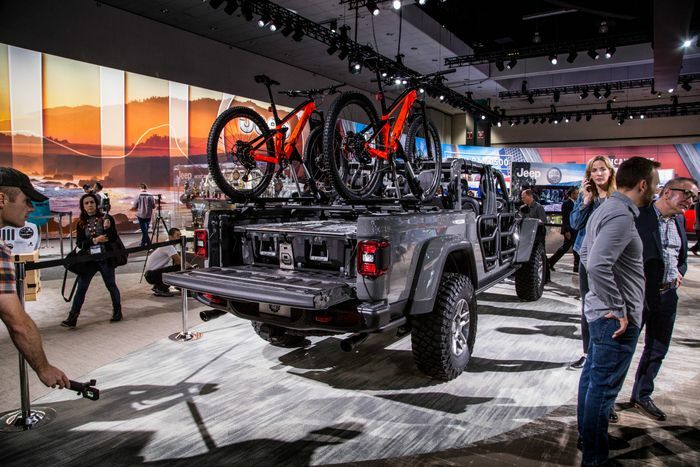 More traditional touches are present and correct, too: electrically-actuated front and rear axle locks, a limited-slip differential, a sway bar disconnect feature and more. 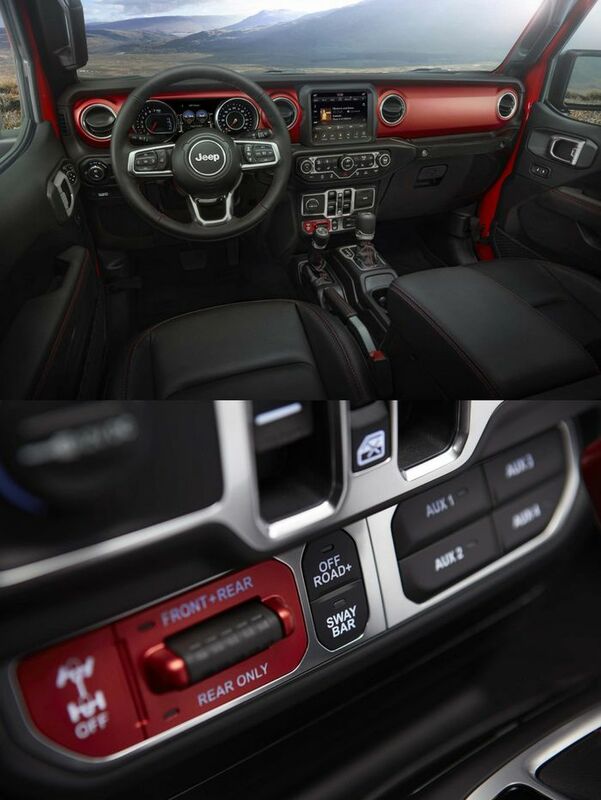 Trim grades will span Sport, Sport S, Overland and Rubicon. Sport S is a more road-biased trim; the other three gain the coveted Trail Rated badge despite clearly showing a playful side with coloured interior trim inserts. Deliveries of the new Gladiator will begin in the second quarter of 2019. Prices will be confirmed closer to the launch date.